Arthur Barker was the founder of Barker England in 1880. His initial intention was to create the brand of the best shoes in Northamptonshire. Each pair of shoes had to go though 165 production operations and the production of it lasted correspondingly for around 6-8 weeks. One the finest craftsmen were involved into production of these shoes. It took around 125 year for this brand to develop and make their technology and production of shoes ideal, boasting with products of top quality, comfort and exceptional fit. The materials, which are nowadays applied in production, are all of the top quality, these leathers could not be compared to the rest. The Barker McClean lace up wingtip brogues are for extremely stylish men. They are made of glossy leather, in classic combination of tan and navy. The design also seems to be traditional, however standing out of the rest. The toe is rounded, which is certainly the most comfortable option. 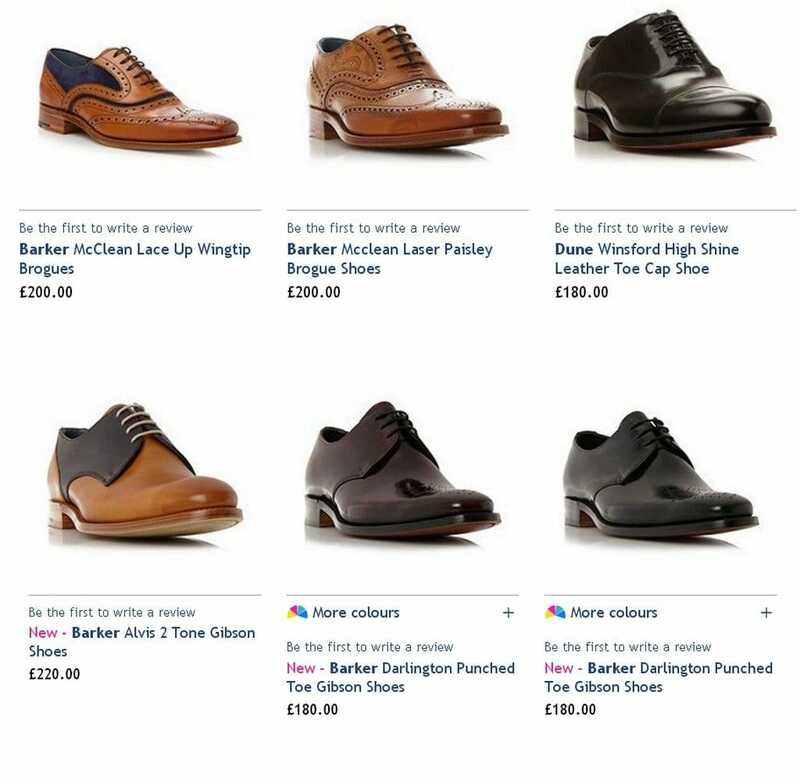 Such shoes are rather versatile, as they could be worn with chinos and a jumper for more casual look, or with dark skinny trousers and a shirt for more sophisticated occasion. Made of leather, they are certainly soft and comfortable. If you like such combination of color, but are not amazed by this design, then there is a good option in the same color combination, also made of leather Alvis 2 Tone Gibson Shoes. For gentlemen, who prefer to wear suits, who appreciate classical design and comfort, there are Darlington Punched Toe Gibson Shoes. They are made of leather, with leather sole, thus any special occasion would be just perfect, if you choose to wear them. Those men, who like to stand out would choose the classic leather brogue with traditional wingtip and punch hole detailing and a lace up fastening.